All stand fixtures come with detachable UI controller for effective on-location control of fixtures and provide the fastest way to trigger effects. All grid fixtures come with built-in control pad that allows for a smaller fixture for ease of rigging. Grid fixtures also have built-in wireless capabilities that can be controlled with the BriteShot wireless control kit. 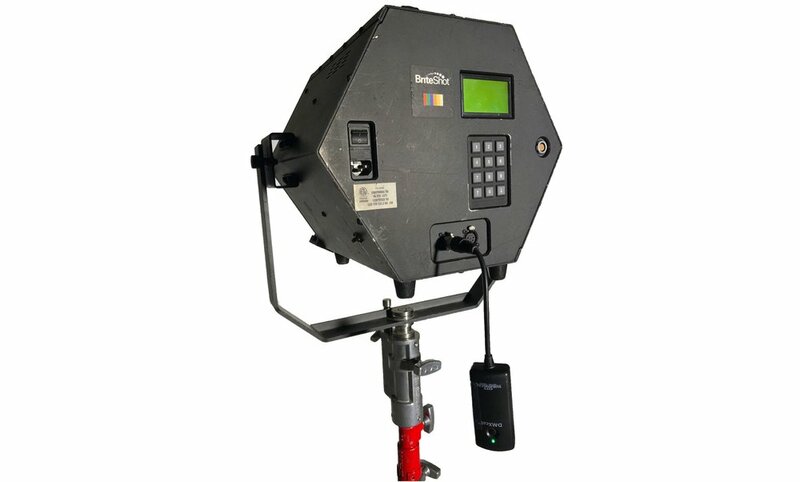 Free upon request with a Luminator rental, this wireless solution kit uses bluetooth to communicate with your entire lighting rig. CooLEDlite is a BriteShot® company created with our patented cooling technology. To receive a quote on a rental for BriteShot® products, please contact the closest office to your location OR fill out this form HERE. A Resale Certificate for the state in which the rental takes place is required.